ANKARA (Reuters) – Turkey and Iran have agreed to boost military cooperation after talks in Ankara this week between the Iranian armed forces chief of staff and Turkish leaders, President Tayyip Erdogan’s spokesman said on Thursday. 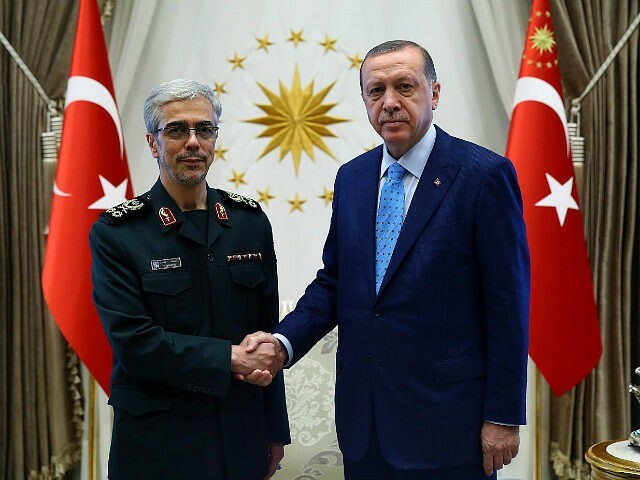 Iran’s military chief General Mohammad Baqeri met Erdogan on Wednesday on a visit Turkish media said was the first to Turkey by an Iranian military chief of staff since the 1979 Islamic revolution in Iran. Erdogan spokesman Ibrahim Kalin described the visit as “fruitful and successful”, adding that talks focused on counter-terrorism, the battle with Islamic State, and a joint effort by Iran, Turkey and Russia to stem the fighting in parts of Syria.